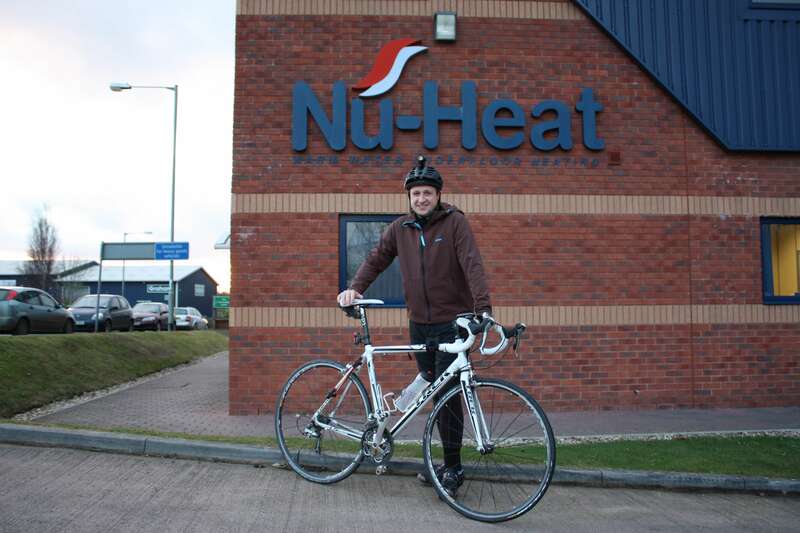 Like many other businesses in the region, Nu-Heat Underfloor & Renewables is taking part in the Government’s ‘Cycle to Work’ initiative, which gives employees access to a hire system so they can have a bike for commuting. Over 30% of the company’s employees have already taken part in the scheme, helping to reduce the number of cars on the roads at peak times and reduce carbon emissions. The system is reasonably simple and can be run either by the employer or a third party provider. Nu-Heat, for instance, uses Cyclescheme. To qualify, an employee must need to use the bike for 50 per cent of the time needed to travel to work, travel between work places or travel to and from a train station to get to work. If an employee wants to join the scheme, they firstly decide on a bike and any accessories they need. The bike shop then completes a form giving details of the request, Nu-Heat authorises it and sends it to Cyclescheme. A voucher is issued and the employee can collect their bike. The hire price is paid from the employee’s salary before tax – which is where the scheme is advantageous. Typical savings for employees are between 32% for basic rate taxpayers and 42% for higher rate taxpayers. Payments are made for 12 months, after which the employee can either continue to loan the bike free of charge from the employer, or buy it at a nominal value. Usually, the cost of the bike and the equipment is up to the value of £1000. However, bikes and equipment to a higher value can be made available if an employer has their own Consumer Credit Licence Category An employee with serious miles to cover to get to work, could spend £10,000 on a dream bike. According to Cyclescheme, in a year the average user saves £600 in fuel and burns 8,391 calories a month – equivalent to 20 hours in the gym. Someone cycling 15 miles a day, 5 days a week instead of driving will save in the region of 535 kg of CO² annually. That’s got to make you feel good about yourself. 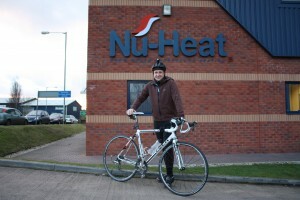 Nu-Heat’s Assistant Marketing Manager, Rob McCreedie, was already a keen cyclist when he suggested the company join the initiative back in 2008. Rob lives in Exeter and was eager to look at an alternative way of travelling the 14.8 miles to work in Honiton. He originally chose a mountain bike but after a while he realised that a road bike was a better choice for his commute. Rob’s most recent hire was for £1000, made up of a road bike at £850, a new helmet at £50 and bike shoes at £100. Rob cycles to work at least 3 days a week in all but the worst weather. His journey is usually along the old A30, which he says is a very cycle-friendly road. He uses the new Redhayes Bridge, which links Exeter to the new Science Park. Nu-Heat has a shower, so if any of the employees who cycle in need to freshen up before work, facilities are available.